The current scenario is evidence enough to prove that Magento 2 holds the potential to skyrocket your online business to profitable heights. You get to extract the best out of your online business with our Magento 2 development services competencies at Intellect Outsource. Magento 2, a relatively newer and more polished portal on the block could be a new experience altogether. This would mean that figuring out may take up some time, including benefiting out of the new features that are now a part of the Magento 2 mainframe. 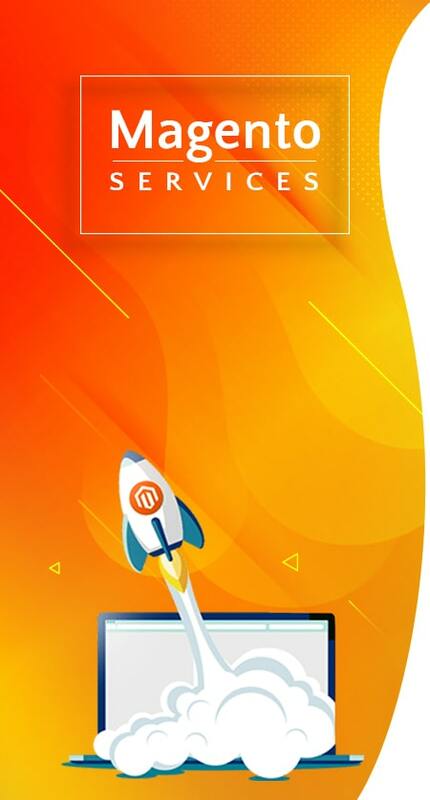 At Intellect Outsource, we take care of all your Magento 2 needs, without having you deploy essential workforce into something that we’ve already mastered. Intellect has, over the years, earned a reputation for itself in adopting cutting edge innovations. We excel at being par with trending technologies like Magento 2. This way, you can run a thriving business online backed by our professional acumen. What Makes Us Better At What We Do? The greatest things in life are often the simplest. Such is our approach when it comes to elevating your business online. We bring together the essential aspects of a healthy business: user-friendliness, stability, and high performance with Magento 2 web development services. Be it custom theme development, full-stack builds, upgrading to a new version, feature addition, or migrating to Magento 2, our experts are by your side. Right from a large-scale ecommerce site, ERP, and CRM to other CMS applications like custom enterprise portals , our expertise on Magento 2 development services will ensure total support – right from brainstorming to post-delivery maintenance and support. Why choose us for Magento 2? What mainly drives us is the ardent desire to enhance customer experience. This mainly fuels every endeavor of ours, so that eventually it is your customers that experience a better online purchasing experience. Happier customers imply a happier you, which is mainly what we work towards with our Magento 2 development services. The main aim behind every task we undertake is the successful alignment of your business with the newest trends in ecommerce, so that your business gets to reap out the benefits of what is up for grabs. At Intellect, the ideology is simple: enabling customers to stay ahead of the technological curve at all times. There is absolutely no doubt that Magento just gets better with Intellect Outsource in the mix. Our magento developers ensure that you have one of the most effective websites on the block, built from ground up to meet not just local but international standards. Your customers get a faster checkout experience which encourages them to purchase more. More the sales, better the business, and this is how our Magento 2 development services enable up-scaling profit charts for your venture. With INTELLECT by your side, you easily get to be the busiest store in town, and still not crash. Our Magento 2 development services expertise ensures that your customers get a whole some shopping experience shopping with your brand. Connect with us to know how.